Players try to capture enemy towers while strategically moving their own to safety. 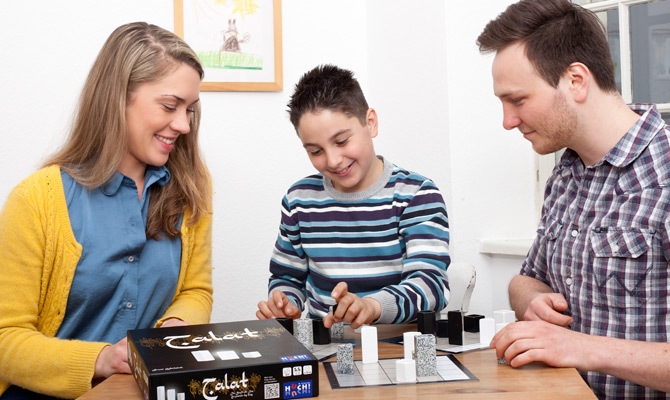 Taller towers can capture shorter towers, and towers with more sides are more powerful than those with fewer sides. 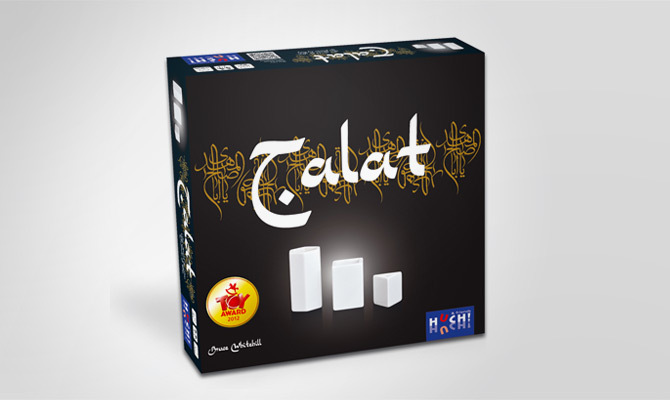 Pick up Talat and experience the power of three.